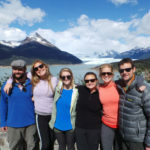 Just a year after returning from a whirlwind holiday adventure in Patagonia, Easter Island and Central Chile, the Olson Family was already hungry for their next great South America vacation. They were looking for a place exciting yet accessible to a wide range of ages with great weather over the Christmas holiday and offering brilliant landscapes and exotic cultures. An Ecuador and Galapagos Islands vacation fit the bill and then some, as it has all that and much more including the some of the world’s greatest biodiversity. Working together we built their Ecuador and Galapagos Islands vacation itinerary to include an exploration of Quito’s historic colonial architecture, a great four-day cruise in Galapagos over Christmas, an adventure into the Amazon Jungle, a New Year’s hurrah in the culturally-rich north while staying at a gorgeous hacienda, and finally travels through Ecuador’s famed volcano country. Choosing a Galapagos cruise can seem daunting. To make it easier, first decide on your budget, preferred time of travel, and length of cruise. Next try to choose whether you prefer a small or mid to large ship. This greatly reduces the options. To discuss the pros and cons of small and large ships, catamarans versus mono hulls, and shorter versus longer cruises, call us at (877) 616-8747 to talk to a Galapagos cruise travel specialist. Here are some photos from this incredible family trip. See below for the itinerary details of the Olson’s custom Galapagos Islands vacation! You will depart the U.S. in the morning or afternoon and arrive to Quito, Ecuador in the evening. You will be met by a Knowmad Adventures Representative in the airport and transferred to your charming accommodations in a colonial building in the historic area of Quito. After breakfast your guide will meet you in the lobby of your hotel and you will embark on a full-day guided tour of Quito. Explore the historic Basilica before taking in the architecture of the Calle de Siete Cruces (street of the Seven Crosses), which was an Incan route to their center of worship, and consequently the avenue most transformed by conquering Christians and reflective of their architectural influence. The seven crosses erected were an effort to convert indigenous peoples. Walking along the avenue takes you to the Plaza de la Independencia where you visit one of the oldest cathedrals in South America: La Catedral de Quito where a plaque marks the spot where a former president was killed. Stop in at the Metropolitan Cultural Center and visit the Plaza de San Francisco and its church, which was the Tiaguez, or main market place, dating back to pre- Incan times. The church’s museum houses thousands of Latin American art which reflect the mix of indigenous and European styles. Enjoy a delicious lunch at Plaza Grande, visit a typical sweet shop, and enjoy great people watching. Continue along historic Bolivar Street and La Ronda, said to be the first street built in Quito and a haven for artists and poets. Here you can visit artisan families, one specializing in candles for religious processions and another of hatmakers. Following this exploration of the city and depending on time you may choose to visit The Middle of the World. Wet Landing, Mosquera Islet is located between North Seymour and Baltra Islands, this flat, sandy island has a large colony of sea lions. It is also an excellent site for observing shorebirds such as herons and Lava Gulls. There is no trail on Mosquera Island, so any visitor can enjoy an open are. Most of the islet is covered with sand and barren lava rock. Very little sesuvium portulacastrum grows on the sand. Dry landing on the northern part of the Islet. The walk begins with an impressive cactus forest* surrounded by land and marine iguanas*. As we reach its highest point, be on the lookout for tropicbirds, a Nazca and blue-footed boobies, swallowtailed gulls*. In South Plaza there is a large colony of the smaller sized land iguanas. The population is approximately 300 individuals. They feed on all kinds of vegetation, but during the dry season survive on the fruits and flowers of Opuntia cacti. Due to their proximity with marine iguanas, this is the only place on Earth where we will find the Galapagos hybrid iguana*. Wet landing on a white sand beach surrounded by a sea lion colony; we continue walking through an endemic cactus forest as we search for the endemic Santa Fe land iguana*, the largest in the islands and distinctively paler. This island is home to a number of endemic species including Galapagos Hawk*, Galapagos Snake, a variety of finches and one of the four species of Galapagos mockingbirds*. Deep-water snorkeling. Wet landing followed by a high intensity hike on rocky terrain. The trail includes an olivine beach of 90 meters long and a path that climbs to the top of a volcanic tuff, through several magnificent viewpoints*. This is probably the only site where the three booby species* of the Galapagos can be seen together, as well as two species of frigatebirds* and a sea lion colony; it is also excellent for dinghy rides and snorkeling, where a good range of sea birds can be observed. Wet landing. Cerro Brujo is an eroding tuff cone* that at several locations is composed of AA lava formations, and a beautiful white sand beach*, great for snorkeling and sunbathing. We visit a lagoon where migratory bird* species can be seen: Blacknecked Stilts, Ruddy Turnstones, Whimbrels, other sandpiper species and White-cheeked Pintails. Cerro Brujo offers beautiful views of Kicker Rock, the southern part of San Cristobal and the adjacent coast. Dry landing in Puerto Baquerizo Moreno. Passengers visit the San Cristóbal giant tortoise* Breeding Center to learn about the National Park’s conservation programs. Enjoy a beautiful landscape on the way to the Reserve*. Passengers will also have the opportunity to visit the port village, have a drink or shop for arts and crafts and other souvenirs. After the visit you will go straight to the airport for return flight to Guayaquil or Quito. Upon arrival to Quito you will be met by a Knowmad Adventures Representative and transferred to your accommodations in Quito. Following breakfast you will be picked up and taken to the airport in accordance with your onward flight to Coca. In Coca you will be met and picked up by Napo Wildlife Center. Here you will stay on an inclusive basis and will have many great excursions to choose from as well as enjoying delicious food and comfortable jungle accommodations. Departing from Quito, 30-minute flight to Coca over the eastern Andes mountain range. After landing, about mid morning, and airport procedures a 5 min transfer in local chiva (hired bus) or local taxi from airport to Port Francisco de Orellana will drive us to embark onto a comfortable covered motor boat. Here we start a canoe ride along the Napo River for about 2 hours approx., lunch box in route. Along the way birds like herons, kingfishers and others can be spotted. After arriving at NWC’s entry dock we disembark for restroom then take a majestic and peaceful 1 to 2 hours dugout canoe ride surrounded by trees overhead, paddling along a narrow creek that connects to the lake where the lodge is located. Good possibilities of monkey sights of various species as well as large birds like toucans, parrots or even macaws. Late afternoon arrival to the NWC lodge by the overwhelming view of the Añangu lake, welcome drink and facilities. After dinner there is an optional cayman (alligator) observation around the lake and natural sounds at night. Continue enjoying your stay at Napo Wildlife Center. Possible itinerary: Early wake up to reach the best and easy access parrot clay licks in Ecuador, about 1 hour away from the lodge, guests reach there just before parrot activity kicks off at the clay lick between 7:30 to 8:30. A total of 11 species of parrots, parakeets and macaws can be seen – a visit that depends on weather conditions but is usually successful. Later, hike along forest trail to visit to the Kichwa community of Añangu and sharing time with a family on their activities. Return to the creek and hike through a Terra Firme Forest for about 30 minutes until we arrive to the second parrot clay lick where if the weather conditions help will be able to find different species of parrots, parakeets and even macaws. Lunch box served at the parrot clay lick observatory. Late afternoon arrival to the lodge. Early departure and last excursion canoeing back to the Napo river, the creek may reveal new sights of Giant otters, Monk Saki monkeys or many other rare birds. 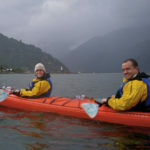 Entry docking area, use of restrooms and embarking on motorized canoe in order to return back to Coca, arrival approximately after 2 hours boat ride up river, in order to check for Coca – Quito flight. After arriving to Quito you will be met again by a Knowmad Guide and will be taken north to Otavalo where you will check in to your hacienda accommodations. En route you will visit a rose plantation and enjoy lunch at the Hacienda la Compania. Enjoy the day in and around Otavalo as you are guided through this culturally fascinating land. Explore the biggest and most important indigenous market in all Latin America. The colorful main handicraft and textile market spills into the streets from the central Plaza de Ponchos, the colorful produce market impresses by sheer number, and the cacophony of the animal market is to the outskirts of town. The friendly Otavalenos are more than happy to talk about their crafts and traditions. Following your exploration of this market you may have time to visit Peguche town and its artisans. 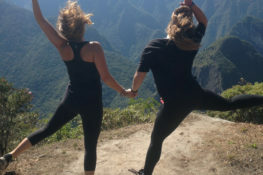 You will also visit Cuicocha Crater for a light walk and breathtaking scenery before heading back to your charming accommodations at Hacienda Cusin. After breakfast and departing from your charming hacienda, you will visit the Cuichocha Crater for a light walk. Later you will enjoy a delicious lunch and continue on to your accommodations near Cotopaxi Volcano. In the morning you will be met by your guide and will visit Suquisli Market, explore Cotopaxi Volcano and National Park. You may also have time to visit Saquisili Market before having a late lunch back at La Cienega. From there you will transfer back to the airport in Quito and check in for your late-evening (12:30 a.m. Jan 3) departing flight back home. Visit the Knowmad website for a few of our great suggested small-ship cruises in Galapagos, including the best catamarans in Galapagos as well as land-based Galapagos trips. Have you cruised the Galapagos? How did you decide which ship was right for you? Were you happy with your choice? We’d love to hear feedback on your choices from fellow travelers!